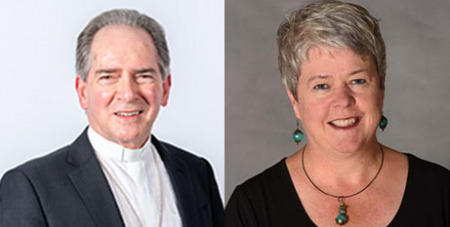 Ballarat Bishop Paul Bird has formed a company limited by guarantee to take over the running of parish schools, the Ballarat Diocese has announced. The new model for school governance will provide consistency and professionalism of governance for parish schools and will relieve parish priests of the administrative burdens associated with employment of school staff and operation of schools. Bishop Bird said he had established the company limited by guarantee, to be known as the Diocese of Ballarat Catholic Education Limited (DOBCEL). Bishop Bird said he had "appointed a board of directors to govern those parish schools where no priest is available for active governance and those parish schools where the parish priest elects (on behalf of the parish) to transfer responsibility for governance to the company. Tracey O’Neill, a lawyer and parent of students at St Patrick’s College Ballarat and Loreto College Ballarat, has been appointed the inaugural chair of the company. “Parents, community and government expect that school governance is undertaken by professionals. DOBCEL’s directors have the depth of experience necessary to ensure effective governance, compliance with legislative requirements and, together with the Director of Catholic Education, ensure that the children in Catholic schools are safe and able to reach their academic potential,” Ms O’Neill said.